Looking back through history we see the long arc of our evolution, our journey from unity toward individuation. Before his passing this past April, Norman Davidson, master Waldorf teacher and beloved Sunbridge College professor, wondered where a new guiding myth that spoke of humanity's future would come from. The story of the fall from spirit into the material world has versions in almost every culture. This imaginative picture is a type of reality, he said, and while this story is still the guiding myth of our world it increasingly feels incomplete in describing the challenges facing us. What new narrative describes our involution, the counter arc that sees us consciously rise up out of materialism, individualism intact, to join in a new community of co-creators? As I study our current cultural landscape, I ask myself what new mythology puts our current lives into the context of the evolution of consciousness? What stories will document our rise as maturing beings, outgrowing a reliance on power structures based on dominance and black or white thinking? What guiding frameworks give us the tools to understand a path of conscious initiation that takes place both in the cosmic but also in the everyday? Where is this emerging myth of personal responsibility being articulated in the world? Einstein's famous quote states that the problems facing humanity and the planet can not be solved on the same level on which they were created. My thought is that this next emerging level is so broad in its scope and outsized in its scale by the cultures surrounding it, that it goes largely unnoticed and often under-appreciated by those struggling in their own arena for such innovation. I believe this myth is taking shape beneath the radar of a mainstream culture that is wary of earnest searchers striving towards deeper meaning in life. Lives led without a dose of post-modern irony, apathy and skepticism can feel threatening. There are of course alternative stories, vantage points where the problems facing the world are seen from a new perspective. There are contemporary myth makers that sense a disconnect between their own experience of life and the narratives that we have been collectively living under. This living awareness of inaccuracy can then be paired with the imagination to arrive at new structures, new stories and pictures that more closely relate to actual felt experience. 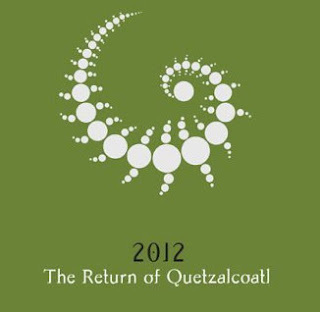 Daniel Pinchbeck's latest book 2012: The Return of Quetzalcoatl (2006, NY: Harpers Collins) fearlessly (and at time perhaps even recklessly) hops from Mayan calendar prophesies to crop circles, global shamanism and visionary states. What makes this book unusual is not just the subject matter, but the methodology that Pinchbeck applies to both these unexplained phenomena and to his own inner processes as he journeys to meet them. Pinchbeck, attempting to unravel the mysteries of what is being asked of contemporary humanity, is a scientist who knowingly includes himself in his observable data. He displays a hesitant but powerful faith in a cohesive logical reality that must include the mystery of spiritual worlds. Pinchbeck's web-based magazine, Reality Sandwich (www.realitysandwich.org) is likewise filled with clear and forward thinking essays and interviews covering everything from urban homesteading and visionary art to the latest finding of quantum physics. 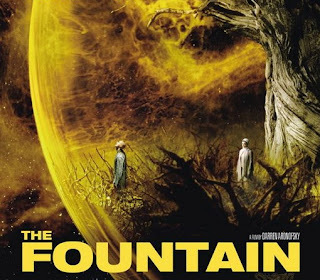 The film The Fountain (2006, Warner Brothers) written and directed by Darren Aronofsky (Director of π and Requiem for a Dream) stands for me as a good indication of where an emerging "New Edge" movement currently lies within the larger culture. Released last year to poor box office sales and critics who just didn't get it, The Fountain is a beautiful film with layered meaning and powerful indications for life, death and time. There are many esoteric touches throughout the film for viewers who make the effort to find them. Aronofsky's high level of respect for the viewer puts him at odds with an industry and audience much more accustomed to easily digestible entertainment. To me, The Fountain is a good example of a new field of partnership media, created by an artist seeking sophisticated engagement from their audience and not afraid of mediums and artistic channels that can reach audiences who will be challenged by such requests for engagement. A visual website created for the launch of the movie (http://thefountainmovie.warnerbros.com) and an audio remix project (www.thefountainremixed.com), are interesting examples of the possibility for similar experimentation on the internet. This past summer confirmed for me that perhaps the most promising real-world laboratory for new guiding myths to be shared and refined is the arts festival known as Burning Man. The yearly week-long event offers a glimpse of what Rudolf Steiner called the "communing society"* of our collective future. A gathering built around the support and promotion of each individual's right and ability to create, Burning Man is a radically participatory event. Attended every year by a growing group of culture makers including the founders of Google and many other internet companies, movie stars and musicians, countless authors and scientists and even the occasional government official. 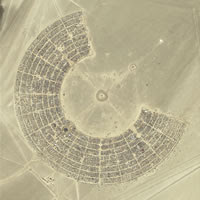 Burning Man is increasingly having a measurable, if yet still largely unnoticed, effect on mainstream society. I would love to continue the dialogue about where and how this emerging culture is forming. *Steiner suggests this "communing society" is the third of three stages to Humanity's evolution. The first is the "Power Society" ruled by those who spoke for Divine will. The second, of which we are nearing the end, is the "Bargaining Society" which is a chaotic jumble of individual's selfish wills. In the third, unity is not achieved by returning to a singular common society, but by each mature individual's higher will being held in a universal harmony.